These guys might just be the 'Hamans' of the 21st century. 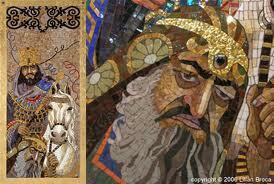 Haman the Agagite was the manipulative Prince under King Xerxes who not only wanted to kill Mordecai in the Book of (Queen) Esther for failing to kneel before him but to destroy the entire Jewish people to boot. Haman plotted and connived and schemed to get poor innocent Mordecai to step up on the gallows and have that noose slipped around his neck but in the end, Haman got his just due comeuppance on the very same gallows he built to hang Mordecai.